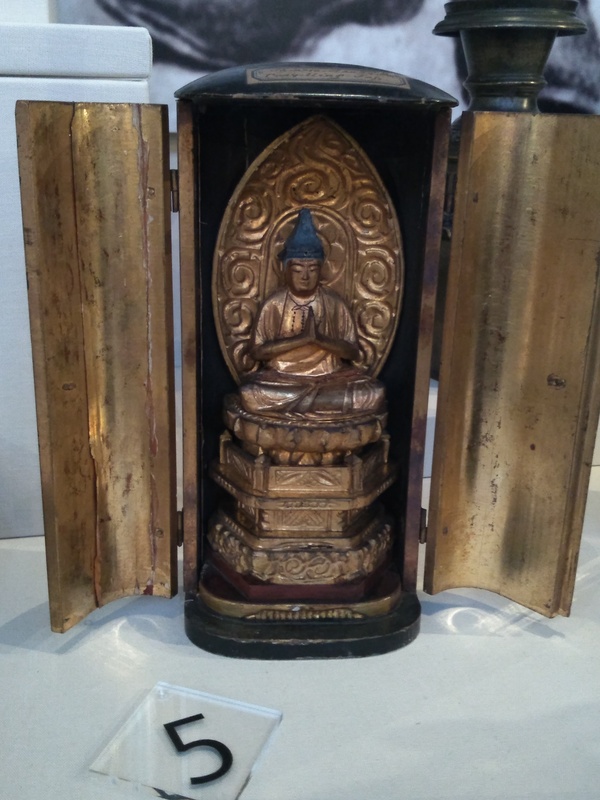 This shrine, on display in our Explorers & Egyptomania gallery, came from Japan. Buddhist travellers needed portable shrines if they had nowhere to worship and could be worn around the neck or around the waist on a belt. Such shrines were two-piece and could be shut to preserve the artwork inside.